Vote for your European Tree of the Year! Do you remember back in October I was asking you to vote for England’s Tree of the Year? When all the votes were counted, in December the Major Oak in Nottingham’s Sherwood Forest was crowned as England’s favourite tree. 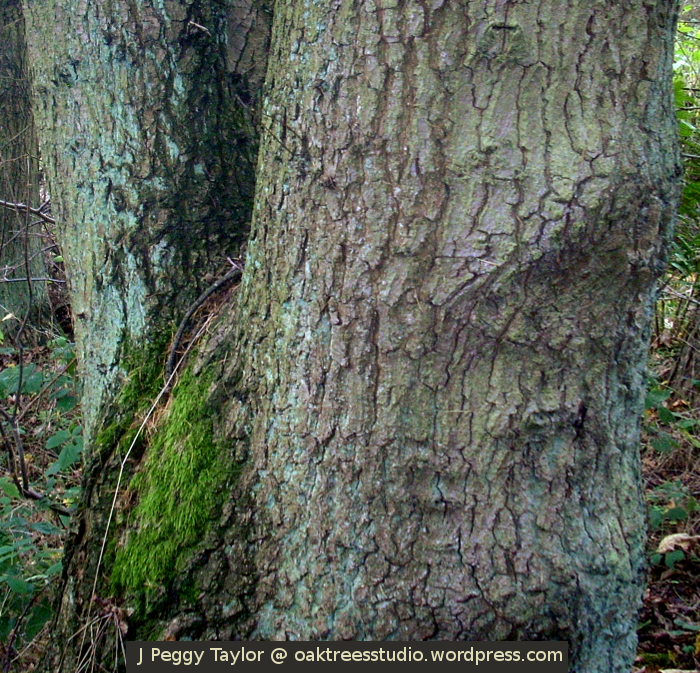 The Major Oak is now representing England in the 2015 European Tree of the Year contest. Why for England only and not the UK? Don’t worry, Scotland, Ireland and Wales are not missing out here, as each country has chosen its own tree. What is the European Tree of the Year contest all about? Now it is time to vote for our European Tree of the Year, from all of the nominated trees. As well as England, Ireland, Scotland and Wales, trees from many countries across Europe are all competing for the European Tree of the Year title. To see all of the nominated trees and cast your vote, please visit the European Tree of the Year website. Voting closes on 28th February so please vote this week for your European Tree of the Year. This tiny Sycamore seedling tree is one of the many mini trees I have growing in my yard. 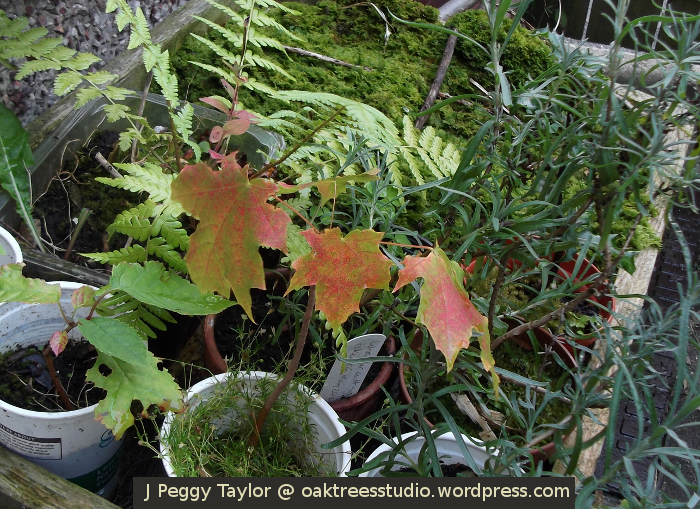 As I was watering my plants last evening I noticed how beautiful Autumn colours had flooded into this little tree’s leaves.